Completed in May 1928, Köln was one of a class of three light cruisers in the German Navy, the others being the Königsberg and Karlsruhe. 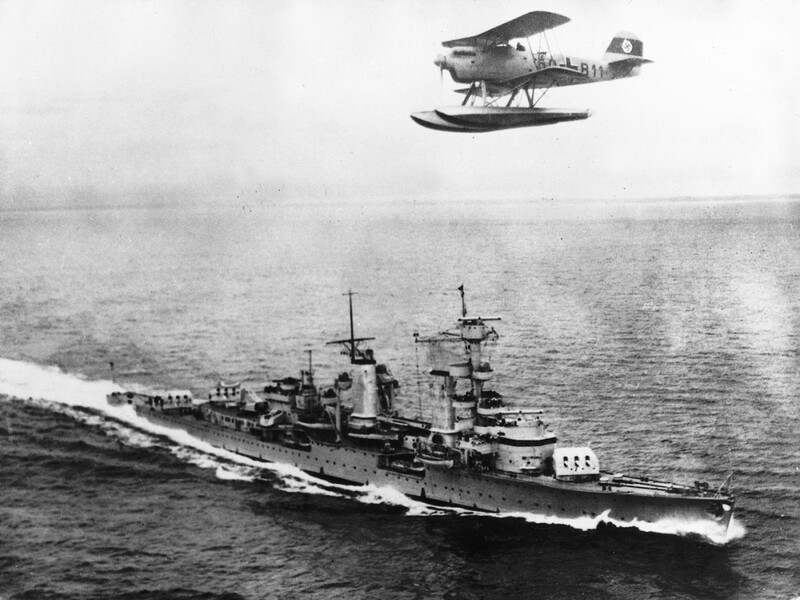 Köln was in action from the very first day of World War II, taking part in minelaying operations in the North Sea with Admiral Densch’s Reconnaissance Force. During the invasion of Norway in April 1940, she and the Königsberg formed part of the naval force covering the German landing at Bergen. Köln remained in northern waters until 1943, when she was transferred to the Baltic Fleet. She subsequently took part in many operations in support of German forces, and from late 1944, while serving with the Fleet Training Squadron, she was heavily involved in evacuating civilian and military personnel from East Prussia, a mission of some risk though one she performed very well. On 30 March 1945, only a few weeks away from the end of the war, while undergoing a refit, she was badly damaged in a heavy attack on Wilhelmshaven Naval Dockyard by B-24 bombers of the United States Army Air Force (USAAF), settling on the bottom with only her superstructure above the surface. She was decommissioned on 6 April 1945, although her guns were still intact and she was used for local defence until the German surrender. She was scrapped in 1946.